A brand new speed Tuning Tool especially for electric..
A brand new speed Tuning Tool especially for electric bikes with Brose mid-mounted engines. The Sx2 Dongle takes away the 15mph speed cut off restriction – in other words, the device trick the system into thinking it is going half as fast as it actually is. This allows the bicycle rider to pedal past the 15mph barrier and reach speeds up to 30mph with the motor power still assisting! Drive twice as fast with full engine assistance (up to 30mph / 50 km/h). Very easy installation due to its pluggable design (“plug and drive”). All Brose assistance levels will be retained. The Dongle causes no changes in the engine electronics. 100% outdoor suitable due to encapsulated electronics. Theft-proof due to its pluggable design – simply pull off the Dongle and take it with you. Cancel the tuning whenever you want – simply pull off the Dongle and you can drive legally on public roads again. The required cable kit is included. Suitable for the new Brose 2015 electric bike engines. We would like to point out that the use of tuning tools like the Sx2 Dongle is not allowed on public roads, because the device manipulates the speed of your electric bike. You may only use tuning devices like the Sx2 Dongle on private, closed areas or on designated routes. 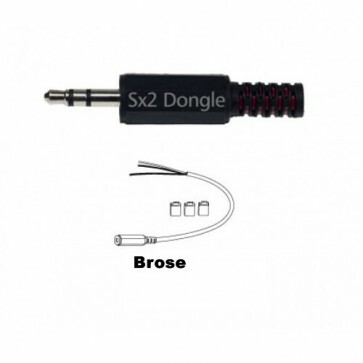 Use the Sx2 Tuning Dongle for Brose electric bikes at your own risk. The manufacturer´s warranty of your electric bicycle may be limited or expire if you use tuning tools like the Sx2 Dongle.